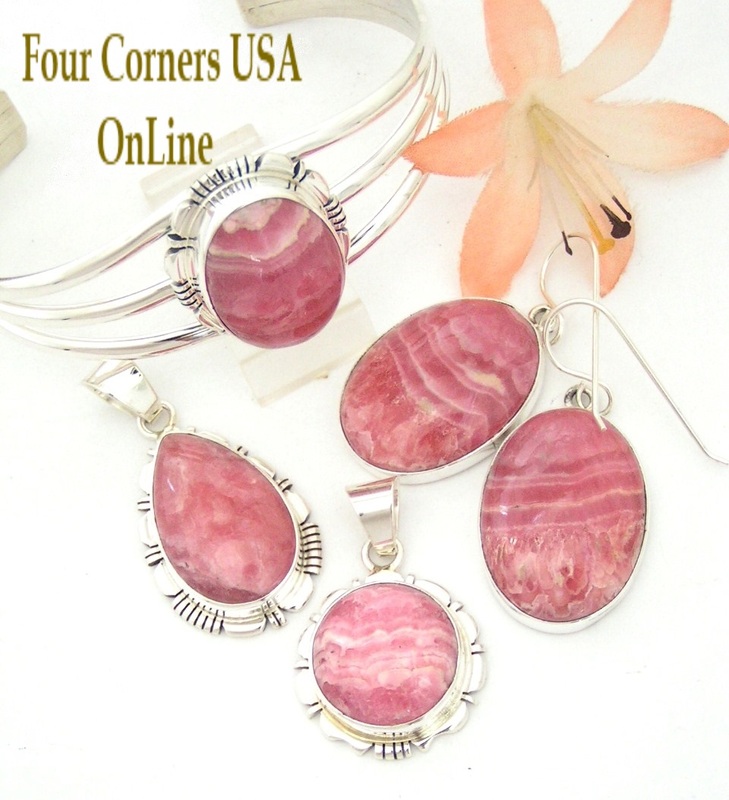 Exquisite Collection of Rhodochrosite Jewelry by renowned Native American Artisans to compliment any Style or Budget. 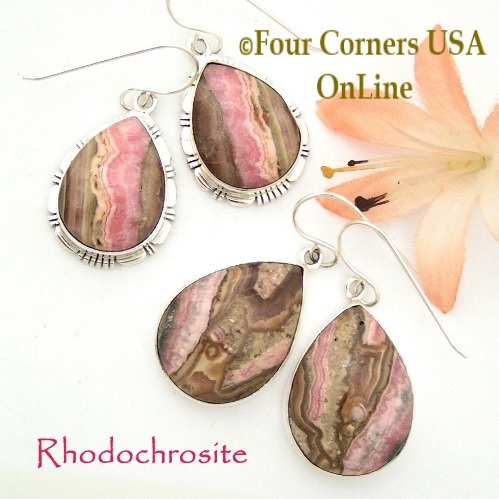 Choose from a quality selection of Rhodochrosite Pendants, Cuff Bracelets, Earrings and Rings. We are proud to present this beautiful assortment of Rhodochrosite gem quality specimen stones set in Sterling Silver. Rhodochrosite (The Love stone) is a very attractive mineral with an absolutely one-of-a-kind, beautiful color. Although it can be an ore of manganese, it is its ornamental and display specimen qualities that make it a very popular mineral. The color of a single crystal can just astound the observer with its vivid pink-rose color that seems to be transmitted out of the crystal as if lit from within. There are many localities for Rhodochrosite that are of great renown. Beyond a doubt, the best locality for Rhodochrosite is the Sweet Home Mine in Colorado. It is unmatched for its superb Rhodochrosite crystals that exhibit the best features of the species; a fine bright rose color and sharp well formed crystals. Some specimens from here are quite large and of world class distinction.